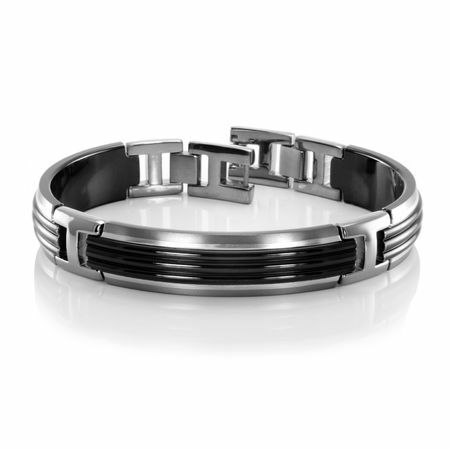 This titanium bracelet from the TRIO collection, designed by Edward Mirell features black titanium raised ridges in the center. 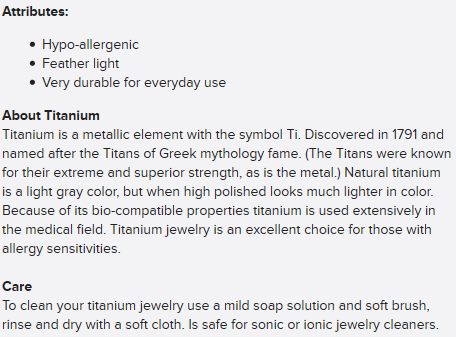 Also, notice the thin sterling silver inlays on either side - it just gives the bracelet a more finished look like you would expect from a piece of designer jewelry. Why wear an average bracelet when you can wear one from the Edward Mirell TRIO collection! Love the lightweightness of this bracelet. The black sets it off. My only wish is that the bracelet was wider.